Smart city is a term that is taking root in the media and has entered the social debate on town-planning. Many cities take pride in pursuing a “smart city strategy”. But what does that mean exactly? This article has the answers. When they hear the words “smart city”, many people think of modern technology. 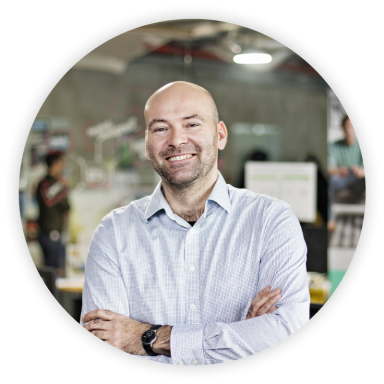 Jan Edlman at ŠKODA AUTO DigiLab has been dealing with the smart city concept for a long time and points out that, first and foremost, the aim is to try to find new uses for technologies within our entangled urban infrastructure. WHAT SPRINGS TO MIND WHEN YOU HEAR “SMART CITY”? There are multiple aspects to a smart city: society, economy, e-government, ecology, mobility and infrastructure. These components are so very diverse and broad that a city addressing this concept needs, first of all, to have a clear vision. Once that vision is in place, all subsequent steps can be fully thought out so that they are meaningful and beneficial to the local population. Each city is built on unique historical and industrial foundations. These shape the needs and requirements of the city’s inhabitants and what they want of smart infrastructure. This then forms the basis for the strategy that is to be pursued. “When a city is seen to be chasing a vision, its inhabitants grasp that their expectations should not be limited to benches with Wi-Fi hotspots and phone chargers,” explains Jan Edlman. “They need to know that they are safe, that they will find a parking space, or that they can quickly get from point A to point B.” Just as urban architects provide services that benefit the urban environment, smart city architects can help to bring a city’s long-term vision to fruition, regardless of the political leanings of those in office at the city hall. A smart city concept, though, is not some all-embracing miracle-working technological saviour. It is primarily a process of determining how new technology can be put to optimal use in the service of the urban population’s needs, comfort and convenience in order to improve their quality of life. With ever more people migrating to cities (cities are currently home to 54% of the population worldwide, a figure set to rise, by 2050, to an estimated 66%, and even more – 80% – in the EU), it is absolutely crucial that we start planning services and infrastructure today so that they can cope with such changes. There are three key groups that process optimisation must keep happy: the municipality itself, its inhabitants, and businesses. “The mistake municipalities are making at the moment is that they are too focused on residents. They need to realise that, during the work week, residents are employees or employers. So we mustn’t lose sight of what the commercial sector needs and what opportunities it can throw up,” Edlman points out. 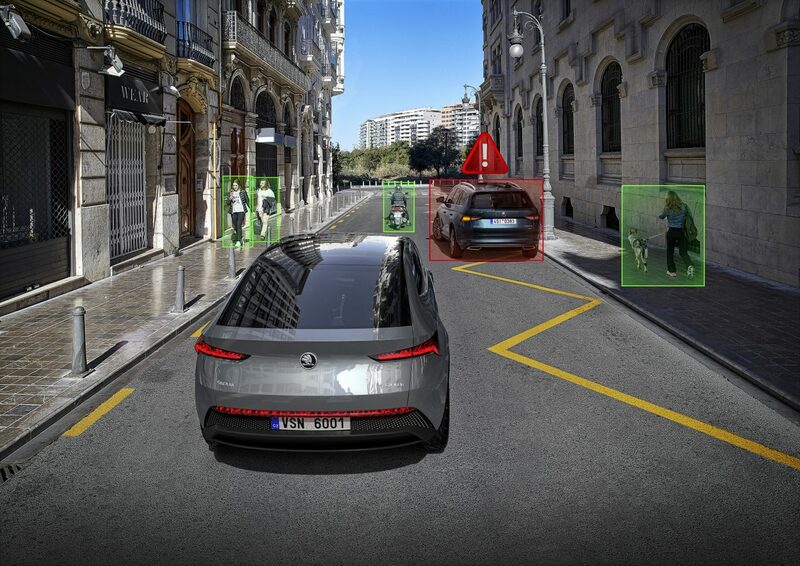 “ŠKODA AUTO DigiLab specialises in smart mobility and infrastructure. Our mission is to work with cities on the preparation of innovative mobility solutions that will deliver high value added not only to inhabitants, but to all “stakeholders” in cities. With this in mind, we put a lot of time and effort into envisaging how to maximise the use of vehicles in order to minimise the idle time they are parked and blocking the streets. We are interested in new mobility-on-demand business models where mobility relies on the use of passenger cars with varying types of ownership (for instance, the HoppyGo project, enabling owners to hire out their cars when they are not using them themselves, and the use of new shared-economy opportunities, such as car-sharing, including new last-mile mobility solutions). We are developing new services that will not only get inhabitants around, but also enhance comfort and convenience. For example, the smart parking service will soon result in the interaction of multiple interesting technologies,” says Edlman. 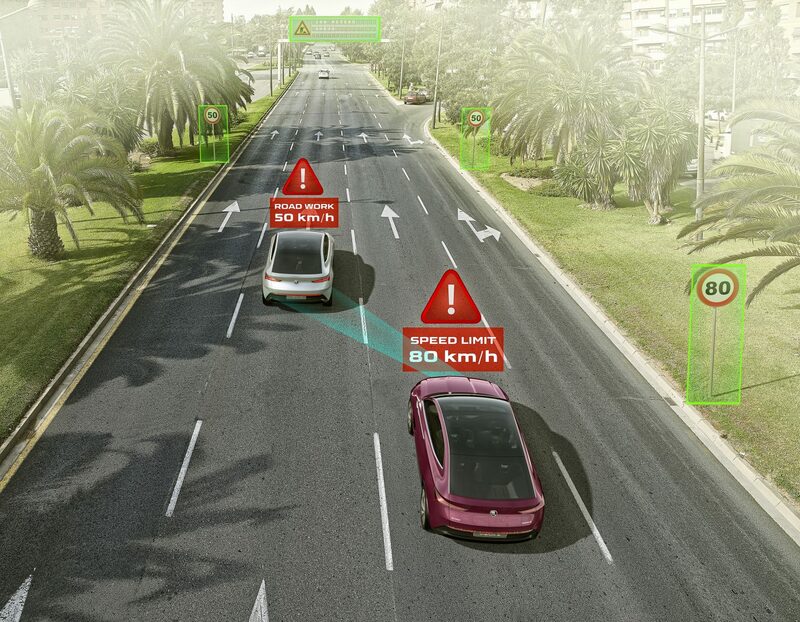 According to him, artificial intelligence can already predict which parking spaces will be available at what times by drawing on data from “connected” vehicles, from mobile operators, and from other data sources. “You need to bear in mind that, the way drivers see it, their destination is a parking space, not the actual place of their meeting. What we want to do in the future, then, is offer drivers a service telling them, as they approach the destination, that parking spaces are available a couple of streets away. Drivers won’t have to spend ages cruising around in search of an elusive space. 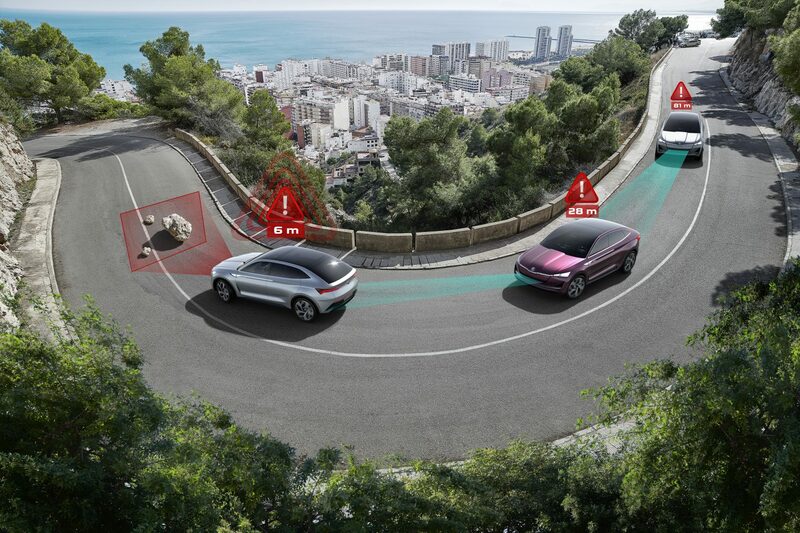 Instead, the predictive system will not only find a space, but also enable them pay the parking fee at the same time,” states Edlman, offering an example of how the system could be used in practice. Data gathered from the roads can also be used to assess where people are travelling from and where to, and plan the infrastructure, public transportation and even the land-use plan accordingly. “Data-sharing is important for public authorities, too. A centralised state data repository would be ideal. Something similar to the National Traffic Information Centre we already have in the Czech Republic. Government and private entities would be able to find the data they need in a single place, and regions and the cities would also be required to enter relevant data,” says Edlman. “For example, a new car park would be denied an operating permit if it could not provide real-time data on parking space occupancy,” he adds. Another aspect here is the possibility of paying for or extending your parking time from the comfort of your vehicle. And then there’s car-sharing. If car owners do not need to use their vehicle at any particular time, it is better for someone else to make use of it rather than having it taking up a parking space. 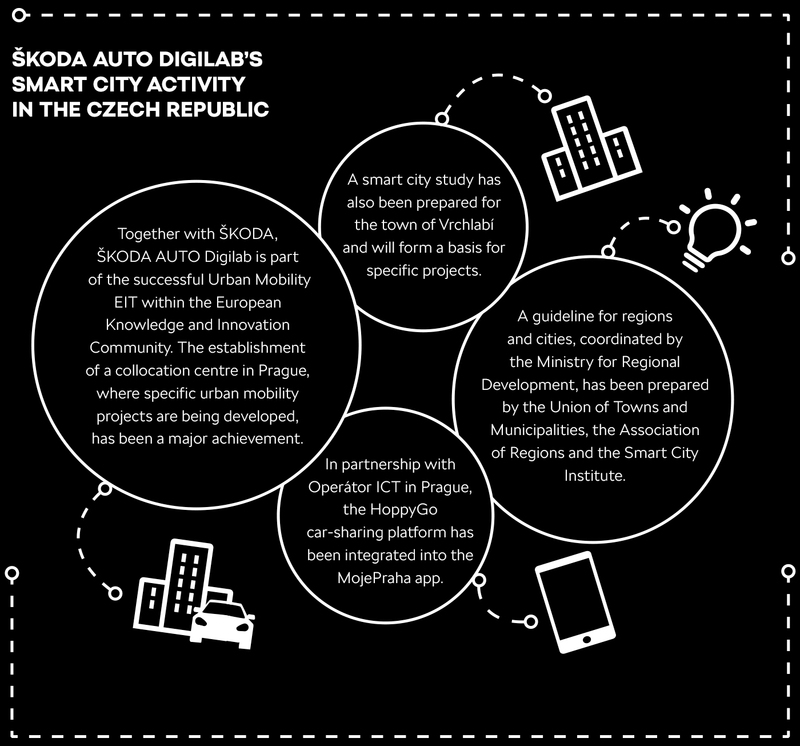 ŠKODA AUTO DigiLab is working on a new ecosystem of mobility services. A perfect example would be HoppyGo, the successful car-sharing platform that connects vehicle owners with drivers who would like to hire a car. Another project is CareDriver, a care mobility service that we are currently testing in Germany and that we are planning to develop further. There are currently only 2.9 million people in the Czech Republic who draw a pension – about 2.5 million are retirees and more than 425,000 are on a disability pension. This number is expected to grow, so the mobility of elderly people will become an important issue. CareDriver may well provide an answer. Aside from providing the elderly with a means of getting around, it also focuses on handicapped persons and on the transportation of children, who constantly need ferrying to their clubs and activities, often at times when their parents need to be at work. Seniors may be eligible for cheap public transport, some of them are unable to make it to the bus or tram stop because of their age or health. “A taxi might stop in front of your house, but that’s about it. CareDriver offers services that go beyond this. The driver helps the senior to get their coat on, if required, and walks them to and from the car when they get to wherever they are going, such as the doctor’s or a local authority. The driver can also wait for them and assist them again on the return leg of the journey,” explains Jan Edlman. Likewise, the driver can take care of a child, perhaps by picking them up from their club. The CareDriver service is currently up and running in Munich and we are planning on expansion into other cities in the coming year. By ordering a service from an external supplier, the city can satisfy the needs of a certain group of the population without having to expand the public transport network, buy expensive vehicles, take care of the fleet’s technical equipment, or recruit additional staff. It is easy to pay for a service for local citizens and simply run quality checks. Many cities around the world, such as Hamburg, Singapore and Helsinki, are aiming for the data-driven symbiosis of their city, the local population and businesses. New synergies and new mobility models relying on open data are arising, making it possible to come up with new solutions such as multi-modal transportation systems for city residents that interconnect public transport with new mobility models, including car- and bike-sharing, depending on what individuals want or prefer. Some might be more price conscious, while others will place a stress on time or comfort. In 2018, the City of Prague, ŠKODA and the Czech Technical University signed a memorandum of cooperation in Prague. These entities are working together to find smart solutions that go beyond mobility and infrastructure in Prague. “In Prague, we are collaborating with Operátor ICT, the company in charge of the capital’s smart city concept – the SmartPrague agenda. This makes things much easier,” says Edlman. “In a situation where we don’t have to negotiate individually with the transport department, the building authority, the environmental department and others, communication is simpler and more efficient.” Our cooperation with Operátor ICT makes it possible, for example, to find HoppyGo vehicles ready for hire via the MojePraha app. Vehicles can then be used on a greater scale and more efficiently on the streets of Prague, so, instead of taking up scarce parking spaces, they can remain in operation, earning extra money for their owners in the process. From the opposite angle, this is a cheaper alternative for people who need to make a car trip. 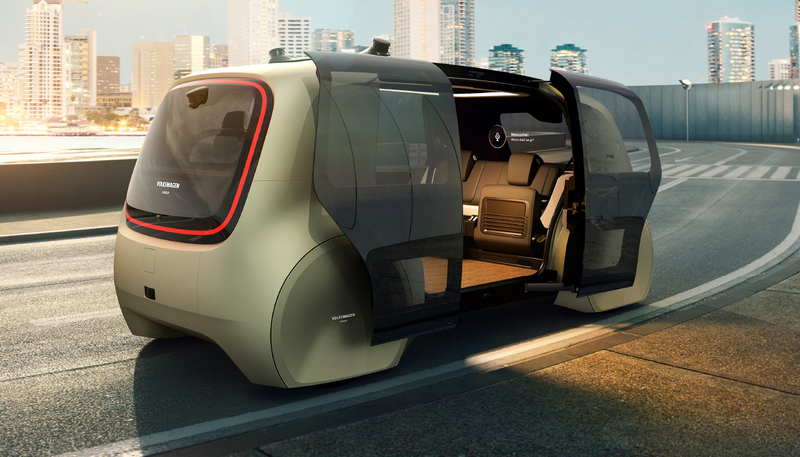 ŠKODA is also part of an international urban mobility development association called Knowledge and Innovation Community (KIC) in Urban Mobility. This consortium of international universities, cities and prominent foreign corporations has 48 members from 15 countries. Some of its financial support has come from the European Union. “One of its five centres, CLC East, is in Prague, which we consider to be a massive achievement by all of the Czech partners. Two Israeli entities are also part of our Prague centre, making us one of this KIC’s most interesting sites. We are currently preparing specific urban mobility projects for implementation within the KIC in the next few years,” states Edlman. How does an electric motor behave differently from a combustion engine?